William Turner, Deputy Director in Exiterra, Ltd.
You can build own database yourself! Basemaster is an effective online database platform that comprises of everything you require to quickly and easily create reports, forms, documents, conducting mailings and without programming completing business applications. Our database software program lets you build own database from template by adding tables /forms. With our program you will be able to have full control over the database structure, relationship between tables /forms and the datatypes /fields required to capture data from your users or customers. 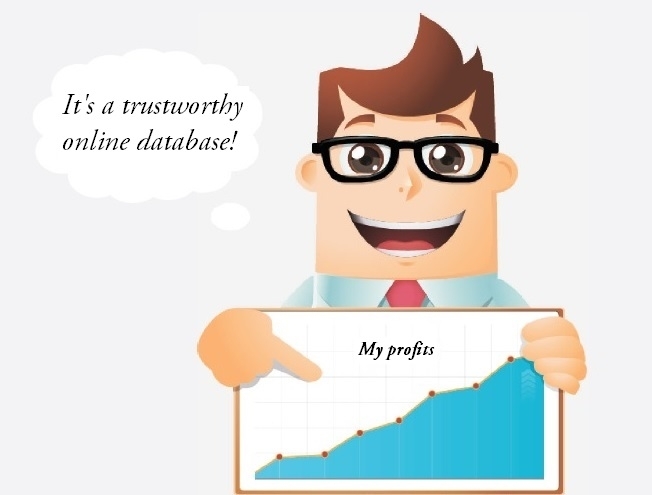 With our user friendly tools you can create online databases like an expert professional without having the coding knowledge and move them to your clients immediately. You do not need any servers to maintain and buy or any software to install and also you do not need any expensive IT consultant for creating it as you can do it by yourself. Our database software lets you create your online databases and deliver it rapidly, as many hassles like setting up hosting, user interaction process, databases, servers and frameworks are prepackaged. So we tried to take into account that every company has its own way of conducting business, and we try anticipate all your needs and requirements and embed them our app. Our solution can be easily used by anyone to tailor it for his/her specific requirements as it is very flexible. So, you can customize databases by yourself. The Basemaster difference is the amount of time saved and ease-of-use. At our site you can view features of the program and our pricing plans. Our specialists will be happy to assist you, so if you have any questions regarding our software program then for technical support you can contact us through our site. Are you willing to build own database right now?